Ever wonder what the next big step in safety may be? 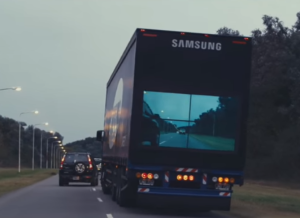 Last summer, Samsung has shown us what may be the future in preventing accidents caused by drivers attempting to overtake semis by attaching wireless cameras to the front of the truck and displaying the view on the back doors on a large screen. 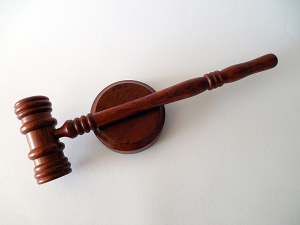 Love or hate it, however, the idea is unlikely to be seen in public for a while – Samsung is still currently testing out the idea and working to comply with national protocols. With the amount of sitting involved in driving, it’s no surprise that back pain can be a continual risk for truckers. 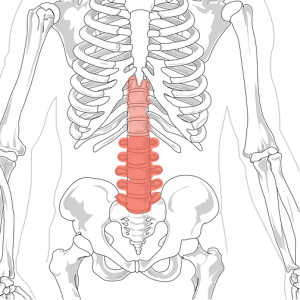 Thankfully, there are many resources for finding exercises to both alleviate and prevent back pain, such as the Healthy Trucker, Trucker News, and other articles, including this piece by XRS. Be sure to stay safe and healthy! Parrish is saddened by the loss of John Kerkemeyer, who has passed away due to a recent stroke last Friday, August 21st. We wish the best for his family and friends. Strokes can be a very serious and present danger to truck drivers. Please be sure to be aware of the warning signs. John will be deeply missed.